a3Genealogy: Military Records Were Destroyed? All Is Not Lost. What Are the Next Steps? 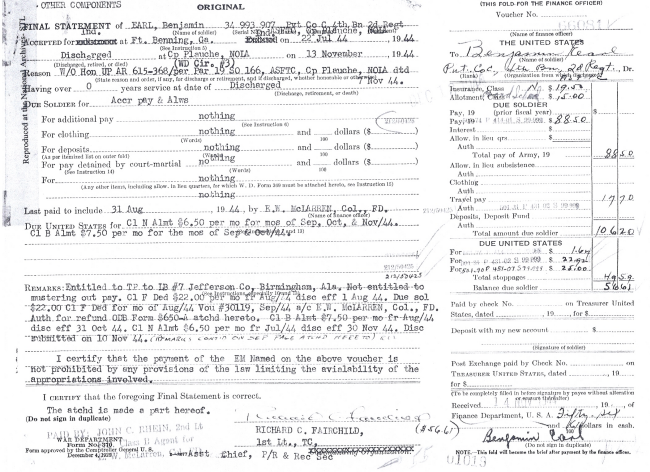 With a bit of perseverance and legwork family researchers can rebuild an ancestor's military service history even though the July 12, 1973 fire at the St. Louis National Personnel Records Center (NPRC) destroyed between 16 to 18 million military service files, including those for WWI and WWII. But a researcher with the spirit of determination, can rebuild their ancestor's records. The Archives.com article dated 4 Aug 2011 Your Ancestor's Military Records Were Destroyed? What to Do? gives the ABC's of recovering from a disaster. 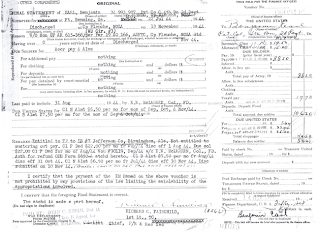 C Collection of 19 million final pay vouchers hold a wealth of genealogical information on each veteran. These vouchers were not destroyed in the file. More detail and resources are given in the Your Ancestor's Military Records Were Destroyed? What to Do? (No subscription required). For an accompanying handout of useful websites, click here. From Research to A Book - Who Is Alice Eversman?